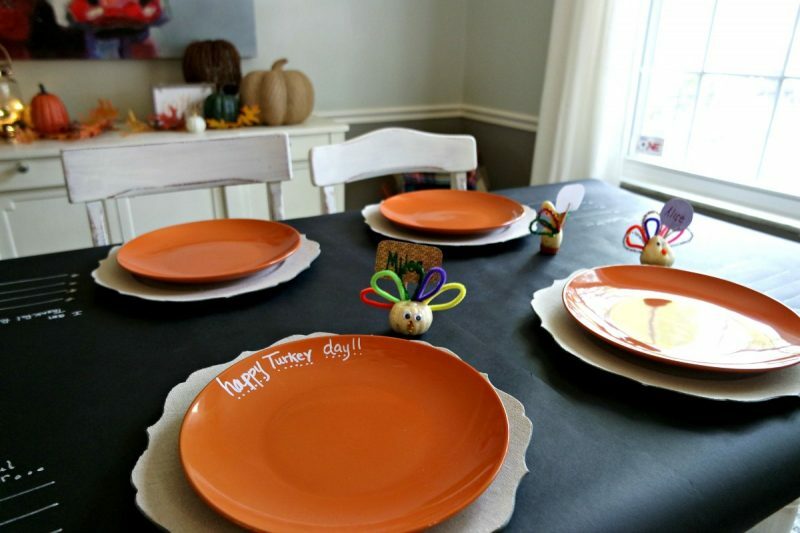 Whether you’re hosting Thanksgiving dinner at your house or are just in charge of the kids’ table, you’re going to love these personalized Thanksgiving plates. 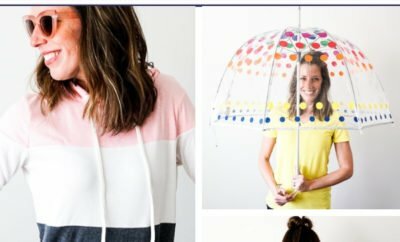 They’re super simple to DIY, they’re super inexpensive (psst – head to your nearest Dollar Store or Dollar Tree), and they’re super adorable. 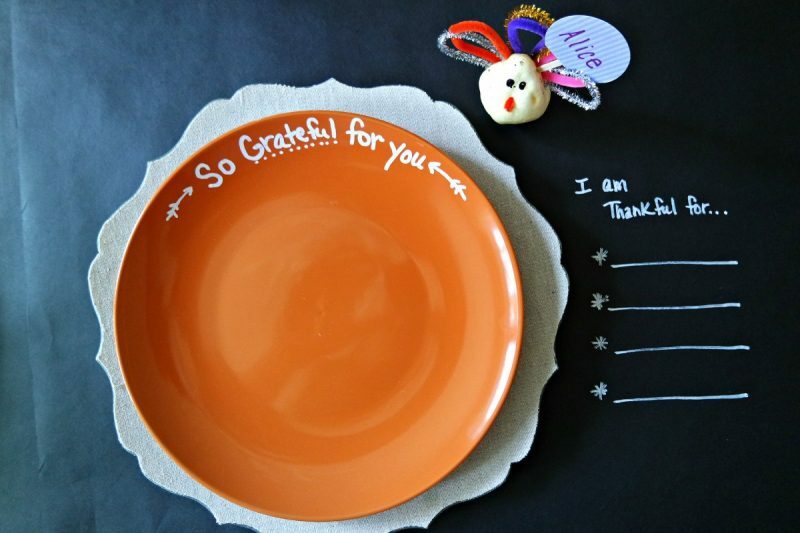 These DIY Thanksgiving table decorations will turn your dinner into a party. 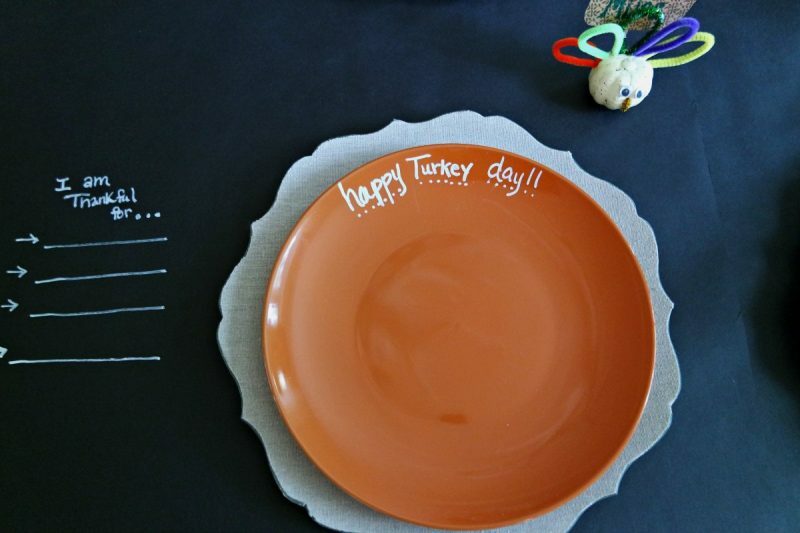 Did you know that you can use paint pens to write on the stoneware plates from the Dollar Store? Yes, you sure can. 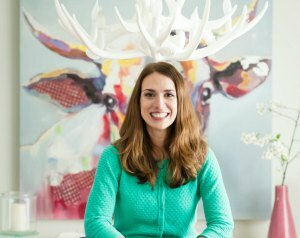 The paint stays on when you want it to and wipes off easily when dinner is over. But, actually, let’s step back a minute. 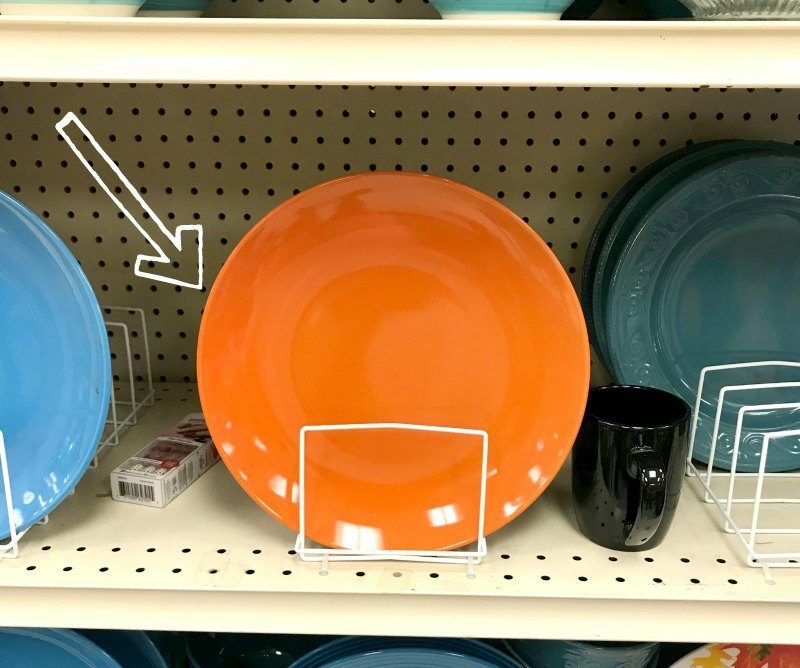 Did you know that you could get stoneware plates in a TON of colors at the Dollar Store – for just $1?!? 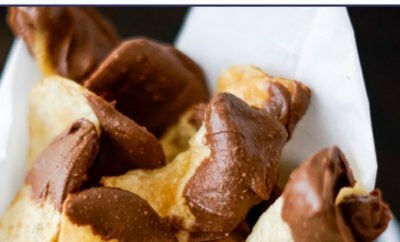 I wish I had known this when I hosted my first Thanksgiving. I basically had to borrow all of my neighbor’s plates, and I still didn’t have enough. And certainly none of our plates matched. Can you imagine if I had just gone to the Dollar Store? Our table would have looked so much better! 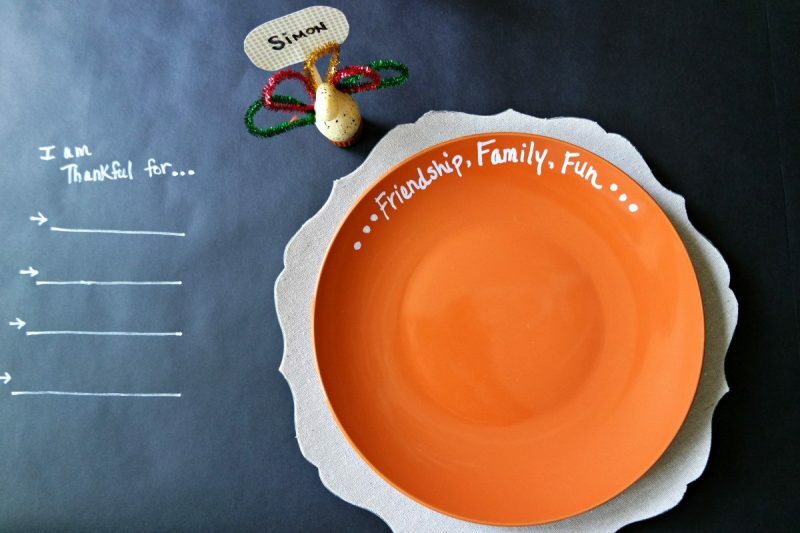 And now let’s take it at least 10 steps further – you can WRITE on stoneware plates with paint pen. How life-changing is this? Don’t worry. I know this isn’t life changing at all, but it definitely makes me happy. I think for this Thanksgiving, I’ll write “Slow Down, Linda!” on my mom’s plate so she doesn’t eat so fast. Where was I? Oh, yes! Thanksgiving! Plates! Aren’t these seriously the cutest? And don’t even worry. It isn’t permanent! 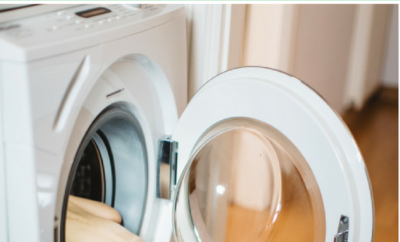 It easily scrubs off with a wet wipe or washcloth. 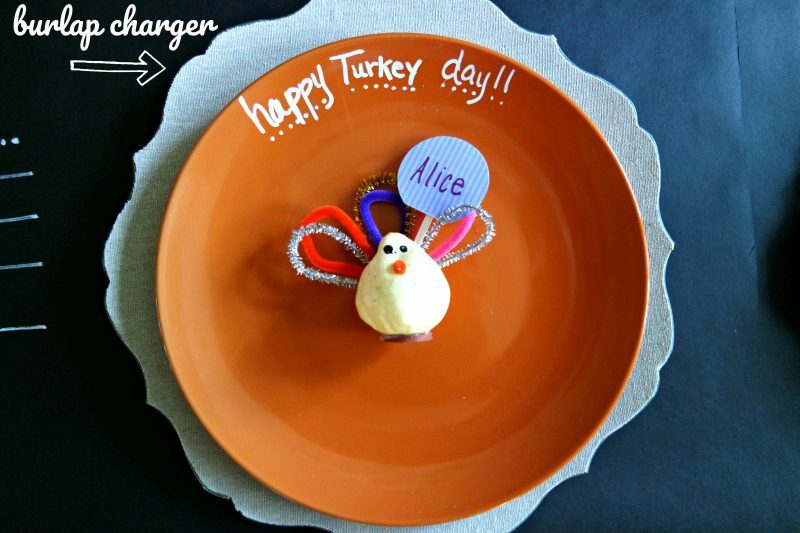 Watch the video below to see how to personalize your plates for Thanksgiving this year! 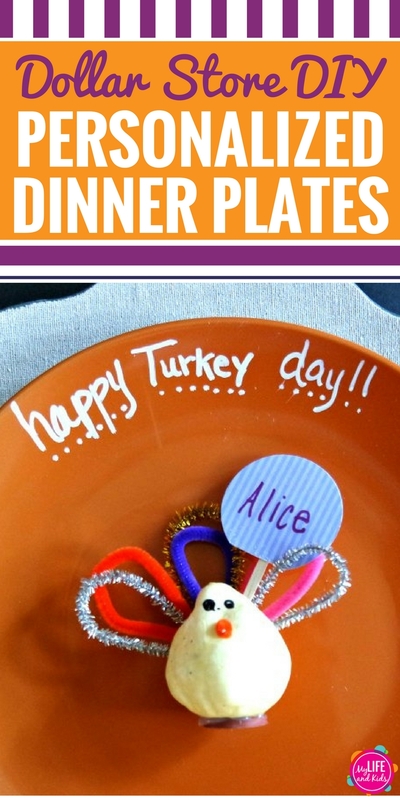 Head to your nearest Dollar Store or Dollar Tree to grab your plates for just $1 each. Or you can just click here to order a case (that’s 12 plates!) for $12 and pick them up at your nearest Dollar Tree. Did you notice the amazing chargers below the plates? They’re not mine, but I tried to steal them after the photo shoot. 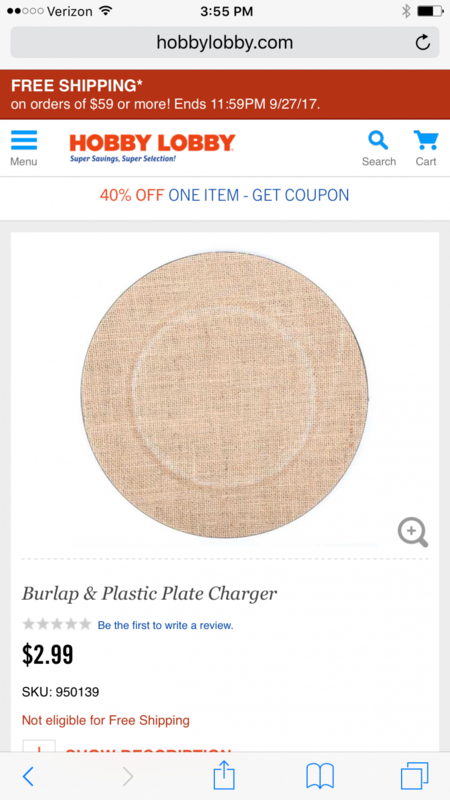 Turns out, you can grab burlap chargers online, but these ones are a little pricey. You can see them here. I found some at Hobby Lobby for just $2.99 each. They’re not quite as cute, but they’ll do. I know, I love it too. 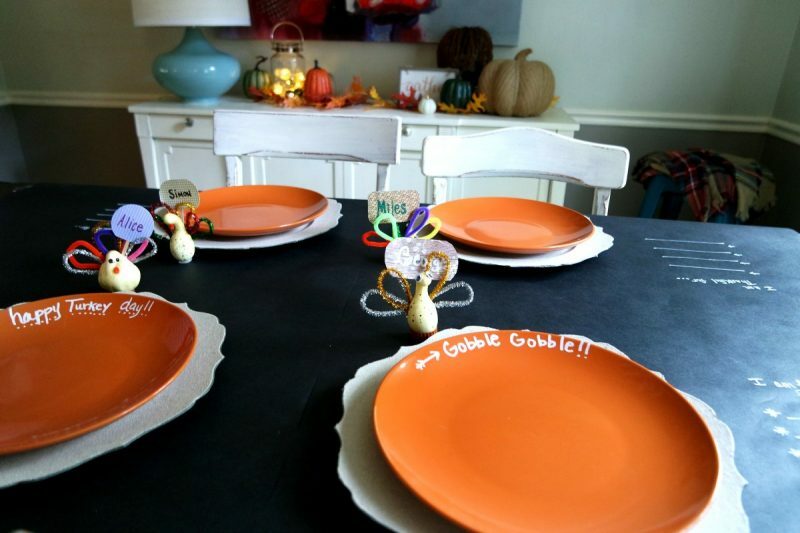 This chalkboard tablecloth is EVERYTHING – especially when it’s for the kids’ table at Thanksgiving! 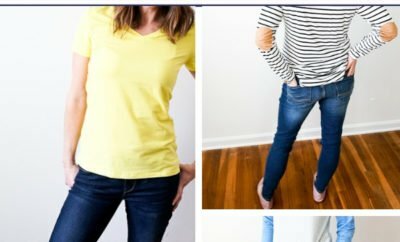 That is another DIY Dollar Store craft. Click here for the instructions.